Is this the SSD for the second Slot? or already for the 50mm Slot? 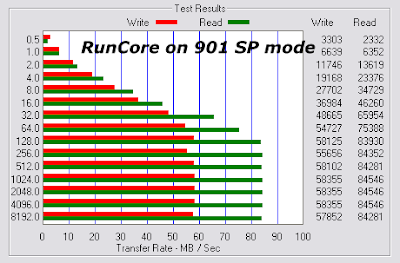 Did you already tested the Dell mini 9 SSD´s from Runcore in the 901´s first Slot? Thanks for the information you share through the blog. On my 901, I installed XP Pro on the 32GB Runcore SSD and the performance is fast and reliable so far. I also replaced the 1GB SDRAM with 2GB. I created a 256MB RAM drive and let the swap file use 128MB of that but XP complained and said it was enlarging the swap file. With 2GB SDRAM, what size RAM drive do you recommend for temp and swap file? How much of that should be allocated for the swap file? Thanks again for all the great information you share with us here! Is there any Speed-Difference between the Runcore 16GB-Version and the bigger Versions(32/64GB) of the Runcore-SSDs? That IS an SSD Week!!!!!! Der Homer, yep, Dell 50mm runcore ssds work on 901 internal slot... video coming..
Really? Runcore Dell Mini SSD able to work on 901 primary SSD?!?!???? Woah is great news if possible, i read a lot and surfing much but until now not single person able to replaced primary SSD on 901 before!! I have a 16GB Runcore coming in, this will breath new life into my 900A ! 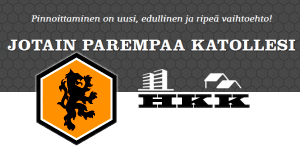 Thanks jkk for your good reports. Regarding XP what I did was installing 2GB RAM, then I use appr 500 Mb for a Ram disk, redirecting TMP and TEMP folders there. Also you can direct browser log files there too. Get the Microsoft "filemon" app, it tells what apps write to disk, then take action to determine what should go to what drive. I set XP to No Swap since normally my nLited XP uses appr 275 Mbytes and I won't be running Photoshop on it. But with the Runcore, this optimization isn't that urgent. Good luck ! According to the X-Gadget's review, Buffalo SSD fits on the 1st slot of 901 without any hole modification and works weii on it. What about RunCore's? Does it fit on the 1st slot of 901 without hole modification? 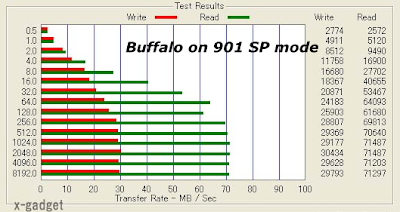 Please review it and then compare with Buffalo, both 50mm SSD on 1st slot of 901. I believe one of EeePC901 user's wish are the best solutions for the 1st slot SSD. 70mm SSD doesn't fit it,even if it's fast. Somewhat disturbingly, Google thinks the RunCore website is dangerous and might harm my computer. For RunCore's sake, I hope this will blow over. Why is everybody so concerned about replacing the SSD on the 1st slot? What's wrong with replacing the one on the 2nd slot and putting the OS on it instead? I'm asking because that is exactly what I'd like to do with my new runcore 32GB! Just got my 32GB Runcre SSD into my 901 but I cannot see it, not from Windows not even in Bios, I missed anything??? any suggestions??? if you swap boot order from secondary to primary, the only biggest capacity only on your secondary. how about your primary still tiny and can't modified. what the purpose you have primary then? you just make it one drive big and enough?!? the primary drive should very faster but not bigger than secondary drive. secondary drive it only mean for storage, temp internet files, temp uncompressed files, etc. primary should be system (root) and secondary should be storage drive (user data/profiles). that the proper function pc works. 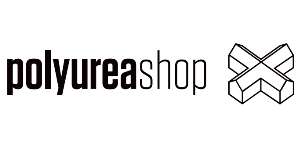 sample, if something happen (e.g. virus, system destroy, registry error) on your primary you still have backup image from your secondary. jkk, is it possible for someone to make an mini pcie ssd that works on other systems other than the dell and the asus netbooks. im not technically knowledgable on how it can be achieved but is it true that one can tap a usb line from a mini pci connector. can it then somehow be connected as a usb flash drive. im not expecting a bootable ssd. but perhaps extra storage in the mini pcie connector as a usb drive. is it possible to take a mini pcie ssd and fit it into a raon everun note? if the note runs on the x86-32 architecture, i wonder how realistic it would be to tackle the 1gb max ram issue by putting the paging file/swap file on an SSD. what do you think? is it possible, to use any mini pci-X slot for these ssds? or do they require a special set up? i thought about soldering a mini pciX to my aspire one - but will that then support those new ssd drives? Read speed seem to rival the Runcore, writes seem a bit slower but still at least 4 times faster than the stock SSD of a 900..
A bit slower write speed, but nothing as terrible as on the 900 16GB or the 900A default drives. Does the Dell one work on the 901 or 1000 internal ssd slot ? And can we upgrade both slots to Runcore SSDs ? 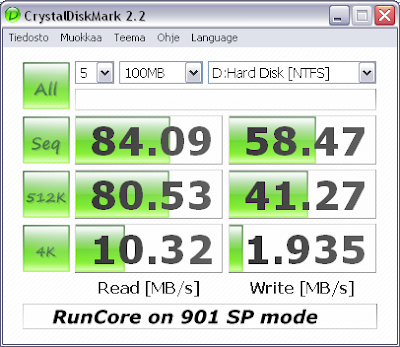 i bought a runcore128gb ssd @ mdd! i got it installed it on a eee 901 (1001BIOS). then i installed vista ultimate on the runcore ssd :) there all the trouble begun vista needs some reboots @ instalation a normal reboot end in a freeze @ vista loading screen! I had to press the power switch 4 secs and turn it back on it continues the vista setup. after a few hard resets i installed vista completly and i was very happy it runs fast and good 24/7 round about 1 week.. i came home from work watched to my eee901 and see it tryes to boot a os.... hmm ?? did anybody else had troubles like this ?? Hey heidi99, I have many of the same problems, with both the SSD and my english. I installed the 128Gb SSD bought from MDD, my dident work as long as one month, it worked for 1 day. I installed Vista home premium and a lott of drivers, it worked pretty fine intill it wouldnt boot anymore. No I am back on my 8 Gb slow SSD and trying t gett in tuch with the 128 SSD with the USB cable that followed in hop of reseting the hol s****, but now I gettt the message that I am missing a driver, the unite is unknown. Is there any on out there how can help me? I'm 13 and currently saving up for an asus eee 901 running xp. I live in the UK, and I am wondering if there is anywhere in the UK, or a UK website, where I can get runCore SSDs for the eee. I am looking into this before I actually get it because I have been told that the standard memory is not easy to live with. It would also be slightly embarassing if my 16gb iPod had more memory than my laptop! Not sure if I am posting this in the righjt place. I have an HP 1000 mini that has teh VERY slow 16GB SSD drive. I found a Seagate Lyrion 60GB 1.8 HD (with ZIF connector)to replace it. I mirrored the drive using my other laptop and can read it, but when I put it in the HP mini, it doesn't boot up. Any feedback would be much appreciated. When I hit F9 to change the drive, it doesn't even read it. The mini will read it if I plug it in as a USB drive.